For years, there have been many comparisons between parenting a child with special needs or autism and the journey gone through inplanning a trip to Europe. Since I am a parent and this blog is focused on autism that is where this story will continue. The journey starts with you and your travel partner spending months planning for your trip to Paris. You spend hours selecting the right travel arrangements, reading up on the sights and history for your selected destination, you pack, you buy French berets, baguettes, practice your French, and when the special day finally arrives, you lock up the house and leave. But instead of landing in Paris you land in Holland, unprepared. What happened to Paris? What the writers want you to think is that having a child with autism is really not that far off the map from a child that is typical. It’s just a DIFFERENT journey. The makers of this story have it so wrong – at least when it comes to autism. Holland is still in Europe. Autism is nowhere near Europe! This story makes a few folks upset including myself. But forget me. It is not about me and my feelings. How about how my son feels? His autism diagnosis followed a serious regression, loss of skills and health issues is a much bigger issue than how I feel. This journey is a far cry from a European trip. 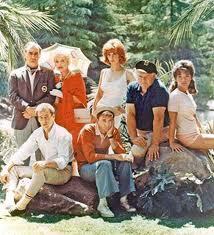 It somehow feelslike that 1960’s show: Gilligan’s Island. You had planned for a three hour boat tour, but instead end up stranded on a desert island with little resources. And what’s worse, you have a kid who is in dire need of help. There is a lot of confusion between being stranded and needing help. But parents of children diagnosed with autism are very resourceful. While stranded in this desert island, autism parents can begin making a radio for help out of sand, coconuts and left over bits from the crashed boat. But on this desert island there is no beautiful Ginger or Mary Ann and the rich Mr. Howell and his wife Lovey with money to help. You have no money after autism. It is simply gone. You and your direct family are on an island alone with little direction, help and certainly without all the supplies to meet your child’s needs. Many families living with autism fight back despite the impossible odds. With much perseverance, small steps and progress can be made. For many families on this seemingly deserted island, progress is made on a regular basis. Provided the right help, children with autism can greatly improve. On our desert island, we found signs of life outside our own family. Others who were living with autism were stranded too. We learned together for our kids. We were not alone on this journey, and no French was spoken! I know this story comparing Gilligan’s Island to autism can seem a little ridiculous, but for my family – it was truly felt this way. Reason why TACA is so important to thousands of families like mine: Without community you can feel stranded. 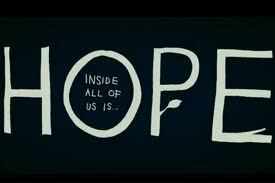 Without hope you feel lost and scared. And without tools, you cannot help your child take important steps to improve health and learning. For many families, this is the rescue boat providing hope and best tools to get you from being stranded into a better place. Autism is hardly like Europe or a deserted island. It’s a huge challenge worth fighting and to gain ground for our children. And TACA will be here when you send up that smoke signal for help. Lisa, I admire your energy and site. But the European vacation analogy is a bit off. The greater majority of parents with special needs children can relate more to National Lampoons “European Vacation” given their income and free-time. The European comment was not originated by me. I cannot take credit. I’ve heard this story told at least a dozen times at conferences. 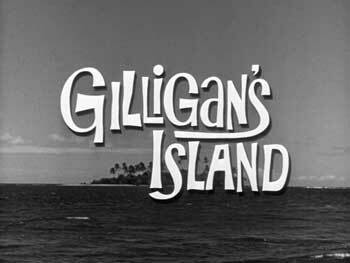 I hate this analogy hence the comparison to Gilligans Island. Not gonna do that was my response! Going wth the orginaly story – we trekked on to Paris or as close as we could get! It is and has been a wild ride. The direct path from Holland to Paris traverses the battle fields of WWI and WWII. We fell in trenches, stepped on unexploded mines, and experienced other hazards of a battlefield. But we also met amazing people and the experience broadened us as a family – like all travel does. 14 years later we are on the outskirts of Paris. But the Argot spoken here is nothing like the French I learned in school. No croissants or baguettes for us – we shop for our bread in a pharmacy (that is where to by GFCF products in France by the way!). Museums? Cathedrals? Historical site? Sorry, no time for that, we are still busy figuring out how we fit in here. Along the way, TACA has been our road map. Lisa, thank you for all you’ve done. I want the shack with Ginger & Mary-Anne! I´m a Special Ed. teacher and I love what you wrote. It took me to so many parents I´ve met here in Costa Rica. This is a great testimony and also a way to describe something that many of us don´t live, because teachers need to understand this first for team work. Thanks! Thank you! I HATE the Holland story. The OT who told me that my son had “all of the red flags for autism” handed me the Holland handout. I would have preferred perhaps a list of helpful books, local doctors, funding sources, and Yahoo groups, but that wonderful Holland handout–I am sure– was much more important a resource for me to have. As I had been to both Italy and Holland at the time my son was dx, there was no convincing me that autism was anything like going to Holland. I may have been only 19 when I visited Holland, but I did not recall that constipation and diarrhea were common amongst its residents. I also did not remember a lot of screaming, lack of sleep, the custom of eating only pureed foods, the non-stop pre-occupation with sand, a great deal of side glancing, or its citizens commonly regressing to NO communication skills. The journey I have been on over the last 7 years did feel more like being stuck on a dessert island than travel to Europe. I could see all of the parents of NT children over on the distant shore with my binoculars. They appeared to be having so much fun. Their kids amazed me with how easily they learned, communicated, ate, and fell to sleep. WOW! If only I could fashion a boat out of my very sparse resources; how I longed to join them. Perhaps I will one day soon. I LOVE the Holland story. But then again, I have been to Holland and I loved it. And I love being my son’s mother. And yes Holland is still in Europe, which is the point of the story; despite being a parent to a child with a disability, you are still a parent. More importantly, your child is still a child. We cannot fight for people to recognize our children as equals and push for inclusion in schools then complain about how terrible it is to raise them. My son is the most amazing person I have ever met and I am very fortunate to be his mother. I am blessed. I do not feel alone or deserted. Even if it were just the two of us alone on an island, I would not be alone. This does not mean that I don’t fight for my son and others like him. But I feel blessed and at peace with the opportunity to do so.